Today is Alexander Hamilton’s birthday and did you know he was born on Nevis Island? The home in which he was born in still stands today and is the location of the Museum of Nevis History. Last month I posted “Ten Fun Facts About Nevis Island“, a beautiful paradise of an island I visited late last year. 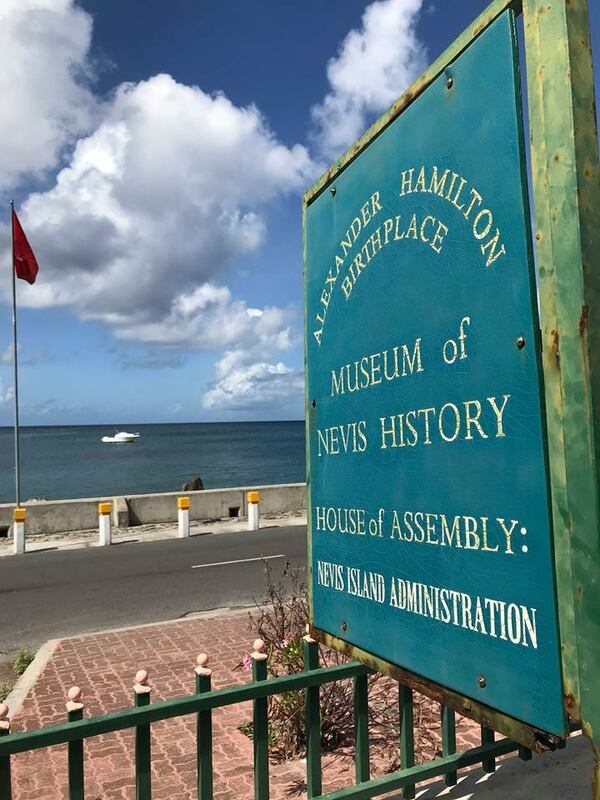 One of the facts I discussed in the post was Nevis being the birthplace of Alexander Hamilton and in fact, the home in which he was born still stands today and is the location of the Museum of Nevis History. Actually, I take that back. The home in which Alexander Hamilton was born in, January 11th 1957, was destroyed in the big earthquake of 1840. The house, known as The Hamilton House, was restored in 1983 and I was told the stairs are an original part of Hamiltons home and was the only standing structure after the earthquake. Its historic value coupled with its beautiful setting on Charlestown harbour make it an island treasure and a delightful place to spend an afternoon. The building today houses one of the island’s two museums on the first floor. 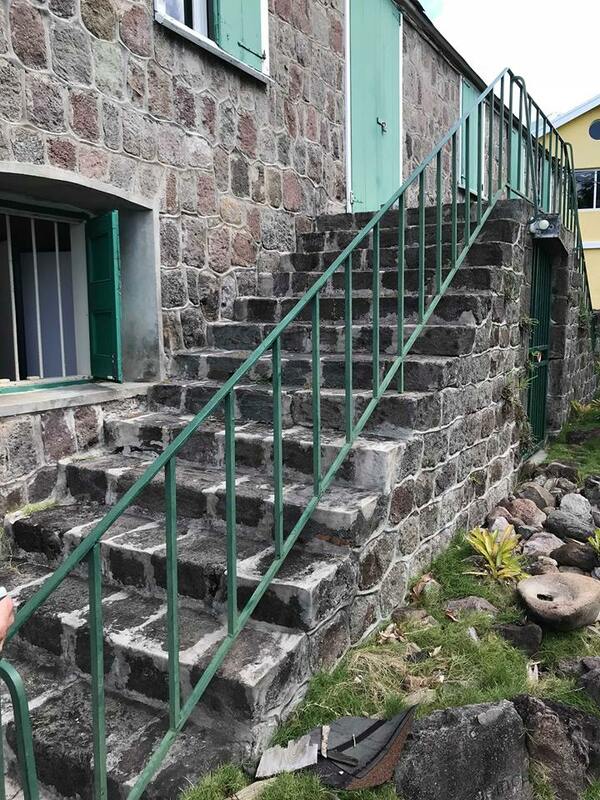 The second floor is the meeting room for the Nevis House of Assembly. We were not able to take photos inside the museum while there but it was fun to walk through and be inside Hamilton’s home. 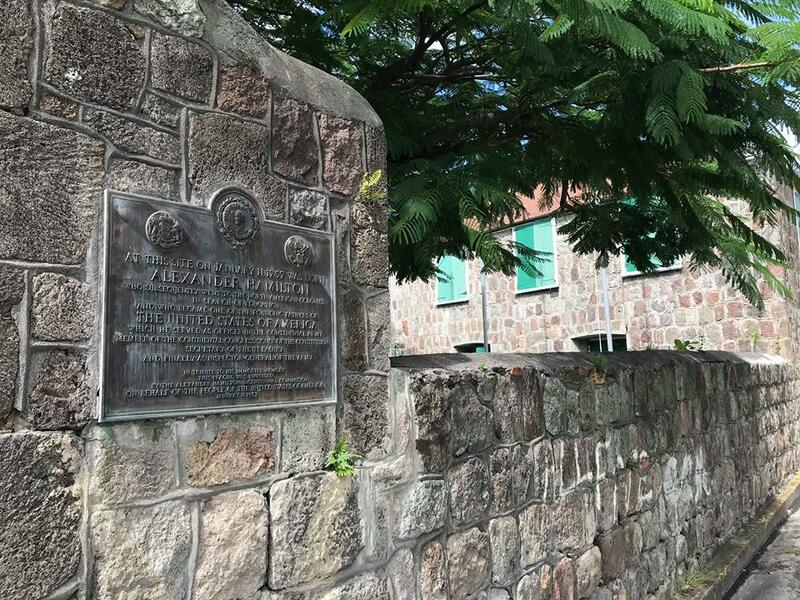 I’m sure the home was one of the first stops for Lin-Manuel Miranda’s when he visited Nevis in preparation for the HUGE Broadway hit Hamilton. And while Hamilton is such an important part of our History, being one of the founding fathers of the United States, many of us know him Miranda’s Broadway show. So fans of History, fans of the Broadway show Hamilton and all my Nevis friends; let us wish Mr. Hamilton a very Happy Birthday! !